Tuberculous meningitis (TBM) is a condition ideally characterized as meningoencephalitis, as it not only affects the meninges but also the brain parenchyma as well as the vasculature. Other common features include inflammations of the adjacent blood vessels, ischemic cerebral infarction occurring due to vascular occlusion and hydrocephalus secondary to the dynamic disturbance of CSF. It is frequently referred to as tubercular meningitis or TB meningitis. Tuberculosis is the 7th leading factor causing disability and death worldwide. Although rare in the United States, TBM was ranked as the 5th most common type of extrapulmonary tuberculosis. The condition also accounted for around 5.2% of all exclusively extrapulmonary disease cases as well as 0.7% of all recorded cases of TB. The disease is associated with higher frequency of neurological sequelae and mortality without prompt treatment. TBM is said to be the most commonly occurring type of CNS (central nervous system) tuberculosis (TB). 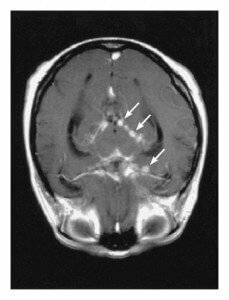 It occurs when the subependymal or the subpial tubercles, also referred to as the “Rich foci” is seeded during the bacillemia of the primary infection or the disseminated disease, ruptures into subarachnoid space. The bacteria Mycobacterium tuberculosis is responsible for this form of tuberculosis. It spreads to the brain as well as the spine from another remote site in the body of patients. Mycobacterium tuberculosis of meninges is the definitive feature of the condition and the inflammations are concentrated towards the lower part of the brain. The cranial nerve roots might get affected when the inflammations are limited in brain stem sub-arachnoid area. The symptoms normally mimic those of the space-occupying lesions. The infection takes its root in the lungs and then metastasizes to the meninges by numerous routes. Blood-borne spread occurs definitely and around 25% of the patients having military TB eventually have TBM, most probably by crossing blood–brain barrier. However, certain patients might develop TBM from a rupture of cortical focus in brain, also known as Rich focus. Some may even develop the condition due to the rupture of some bony focus within the spine. It is quite rare and unusual for a spinal TB to progress to TB of the CNS; however isolated instances have been recorded. This first stage is characterized by the presence of nonspecific symptoms such as irritability, apathy, fever, malaise, headache, vomiting, nausea and anorexia without any changes in the levels of consciousness. During this stage, patients might experience altered consciousness without any delirium or coma, although some minor focal neurological symptoms might be present. Indications of meningitis and meningism can be found along with focal neurological deficits, abnormal involuntary movements and isolated CN palsies. This final stage is marked by an advanced state of coma or stupor, seizures, dense neurological deficits, posturing as well as abnormal movements. Culture of tuberculosis from cerebrospinal fluid takes at least 2 weeks. Hence, treatment for majority of TBM patients is started even before the confirmation of the diagnosis. Management involves use of medications as well as placement of a shunt. The drugs rifampicin, isoniazid, ethambutol and pyrazinamide are used for the first 2 months, which are then followed by rifampicin and isoniazid for a further 10 months. Steroids are normally used within the first 6 weeks of treatment. Some patients might require immunomodulatory agents like thalidomide. 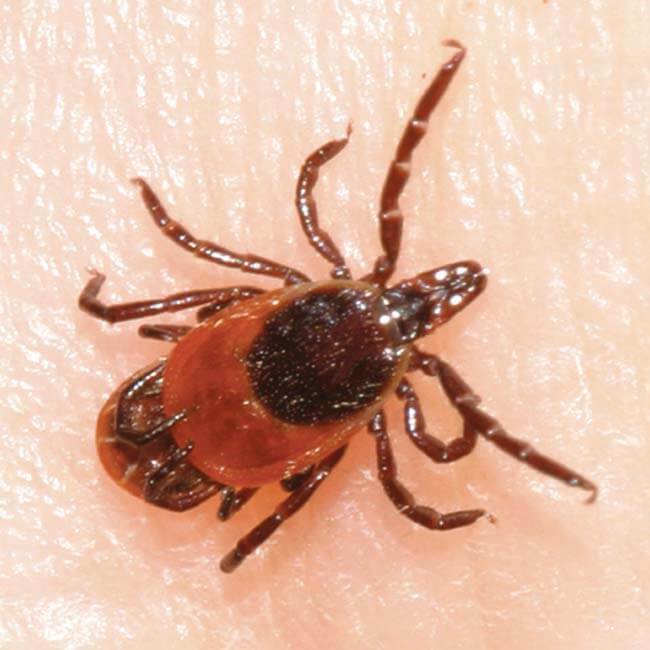 New agents used for management of TBM include isepamicin and oxazolidinone. Fluoroquinolones that can be used for the same purpose include ofloxacin, ciprofloxacin and levofloxacin. 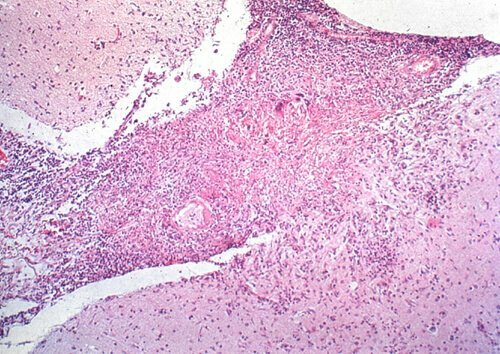 Adjunctive corticosteroid therapy is recommended along with the standard antituberculous therapy to manage TBM due to the intensity of fibrotic and inflammatory reactions at the site of meningitis. Some of the other forms of drugs used to treat this disorder include corticosteroids such as prednisone and dexamethasone as well as aminoglycosides like kanamycin and amikacin. Trails are currently being conducted for discovering new agents of treatment for tuberculosis. Patients who are suffering from an obstructive hydrocephalus along with neurological deterioration should be treated by placing a ventricular drain or a ventriculoatrial or ventriculoperitoneal shunt. This helps in improving the outcome of the patients’ condition, especially in cases where there is only minimal neurological deficiency. Surgical intervention is not necessary in the treatment of this disorder unless there is a mass effect that compromises vital organs of the body. Usage of steroid in treatment may give rise to possible side effects such as steroid withdrawal, systemic steroid complications, as well as worsening of the long-term neurological outcome. TBM can be life-threatening if left untreated. Patients generally do poorly in long term, even though they are treated with optimal anti-tuberculous therapy. Although co-infection with HIV and an increasing age is believed to play a role in the gradual deterioration of the condition of sufferers, they still do not answer for all of the complications that can be observed. Long term follow-up care is required to detect and manage recurrences. The BCG vaccination can help to prevent TBM in young children living n places where this disease is quite common. Treating individuals exhibiting the signs of non-active or dormant tuberculosis can help to prevent the spreading of tuberculosis.